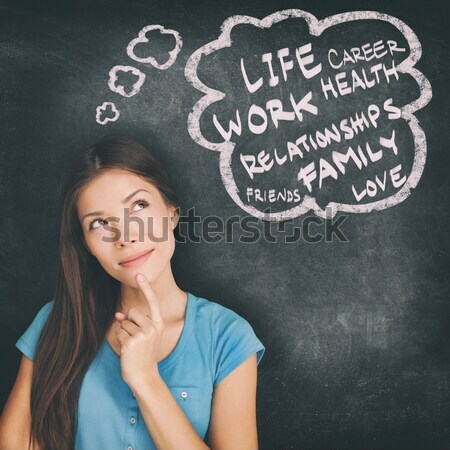 Photo stock: Femme · pense · tableau · noir · pensive · fille · regarder / Woman thinking blackboard concept. 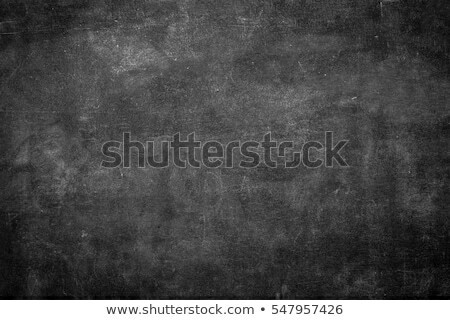 Pensive girl looking at thought bubble on chalkboard / blackboard texture background. Mixed race Asian Chinese / Caucasian student. 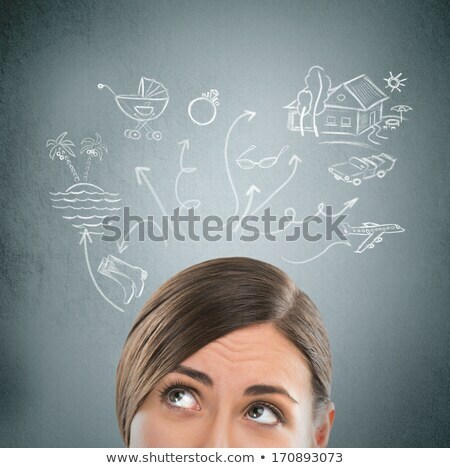 En ligne depuis November 19, 2012.